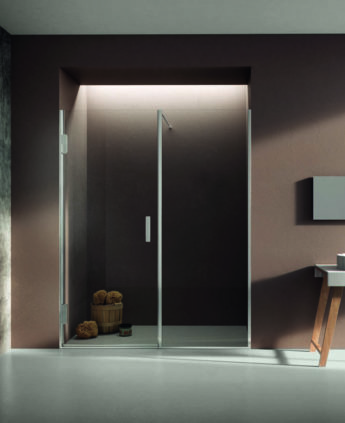 The recess door it is equipped with only one transparent side, where is the door, and in the other sides there is the wall. 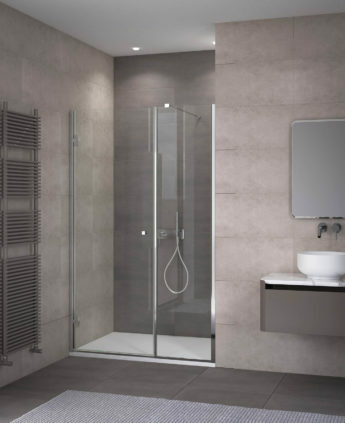 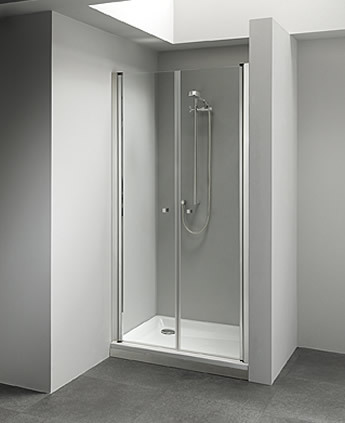 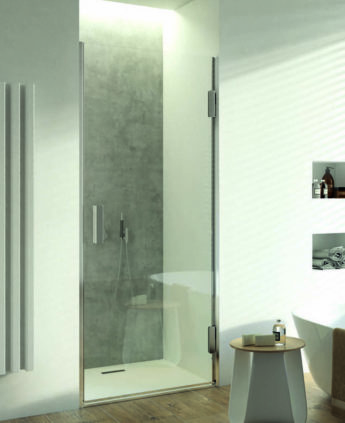 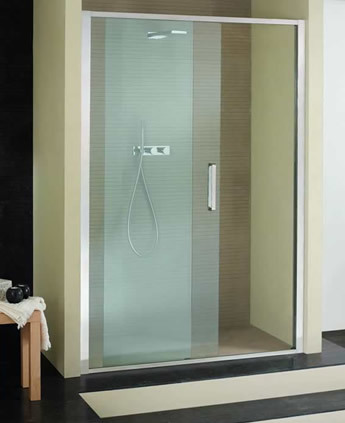 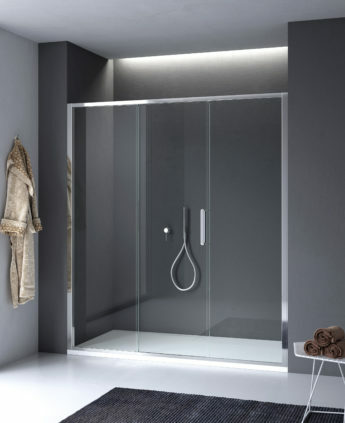 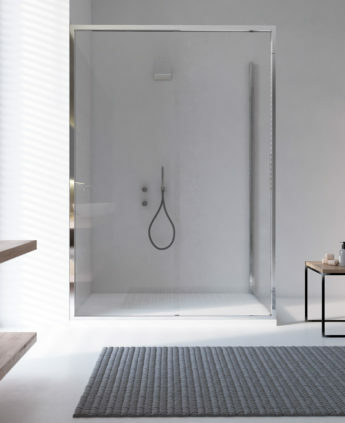 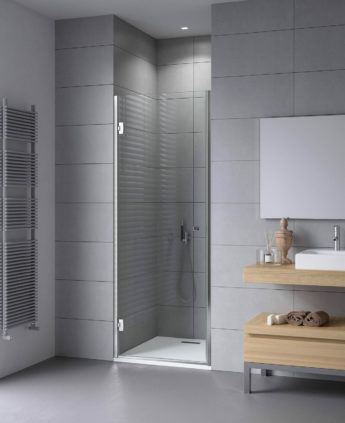 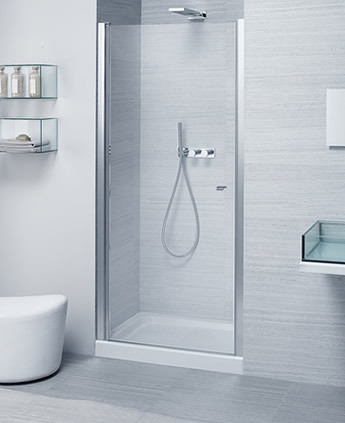 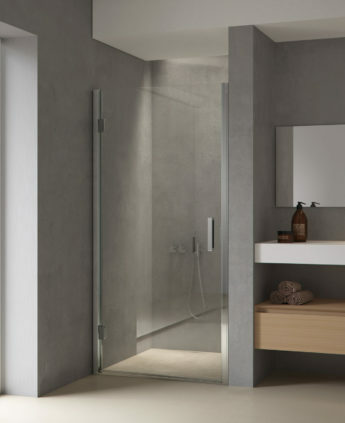 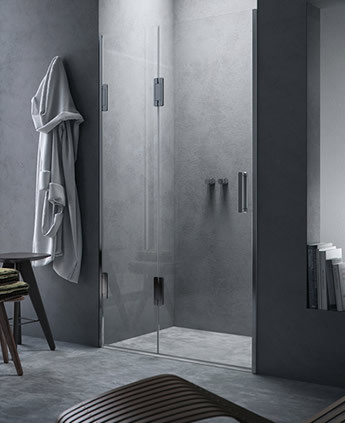 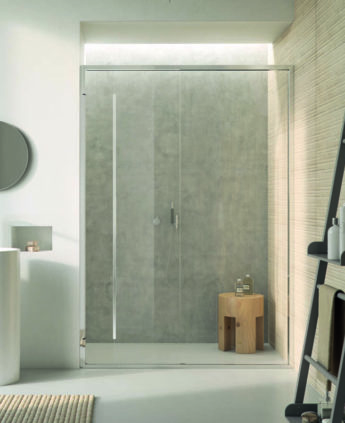 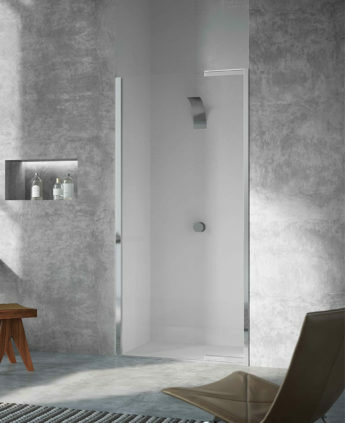 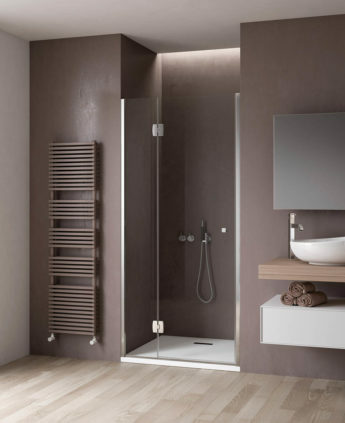 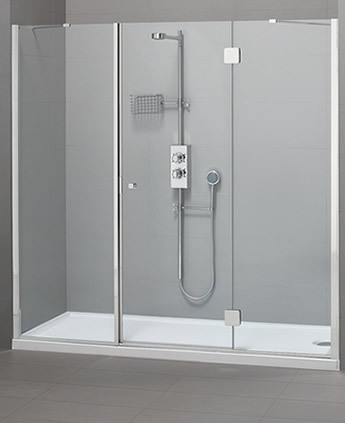 Compact and functional to obtain a shower enclosure in a small room, for users whom love to relax in shower enclosures or want a design solution. 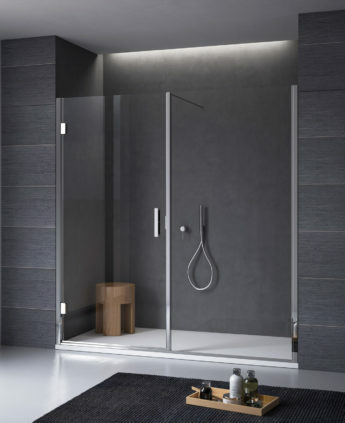 There are a lot of models, all to be evaluated according own likes and space available: from small shutter door con apertura interna per i piccoli ambienti to shower enclosure with central sliding door for presidential shower enclosures!